The national call to arms has been heard across this land. 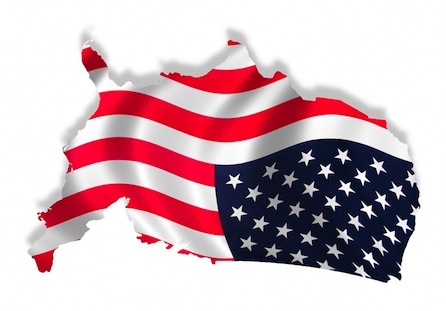 This upside-down flag-weekend marks the beginning of the outing of the Motherload of False-Flag Events that is due to come together on October 17th to supposedly end all our freedoms. October Tenth marks the beginning of the public’s push-back of the traitors and treasons that have ruled this broken place since Bush was allowed to steal the presidency in 2000. It’s been a long-time coming so let’s do a whole lot more than just watch this time! When Obama announced his response to this supposed crisis by declaring that he will cut the number of states from 50 down to 34, he gave no definitive reason. The 16 states Obama wants to dump are the same states that have challenged his illegal-dictatorship on NDAA and on various other treasons. He is wrong of course. The federal so-called government is not the primary force in the union of the states—it’s the add-on which the states created from their individual sovereignty as states. The states can dissolve the government. But the feds have no rights when it comes to the integrity of the State’s Charters to exist. In fact by announcing this bizarre attack upon the states - Obama committed Treason against the Constitution, again. The reason he did this is that he clearly serves the United States Incorporated: The illegally formed private-corporation, created by the global-bankers and their Federal Reserve (The privately owned illegal-bank) which was illegally set up inside that ten-square miles of Washington. D.C. which is still is outside the United States and functions as the District of Criminality which is the illegal home of USI. This is why “The Ride for the Constitution” is being held in Washington D.C. this weekend, by the Truckers who have chosen to answer the overwhelmingly criminal action of the feds, by shutting down D.C. from the 10th to the 13th of October. During this coming weekend there will be numerous demonstrations throughout D.C. ­ all of which are aimed at unifying this country against the treason of our would-be Caesar who needs to be arrested along with his entire government. This is the reason that “The Ride for the Constitution” is being held. For these three days America might begin to look like a country that is not about Democrats or Republicans. People will be coming together as Americans: To publicly protest the treasons and the total lack of any consideration or voice against what this government has clearly embraced, since 2000. “ Come on ­ if congress cared about you and your freedom: How is it that these same degenerate control freaks passed the NDAA in 2012 and in 2013 granting the military the power to detain anyone, anywhere in the world and imprison them indefinitely without trial? Where was their righteous indignation then? And these laws are still on the books! Likewise if Obama cares so much about your well-being: Why did he sign those bills into law? He had the power to veto them but he didn’t. He’s willing to play hardball, even to the point of a government shutdown to protect his signature health-care bill but his military detention without due process? Well, he didn’t want to ruffle any feathers over something so trivial. And where were these valiant congressmen, these defenders of liberty, when it was time to take a stand against the NSA’s domestic spying program? Did they filibuster then? I don’t seem to remember anything about that? Do you! There was no outrage, no talk of shutting down the government, as Obama massively expanded the drone program, killing thousands of civilian non-combatants in countries we’re not even at war with! Then there is the issue of closing down the national mall in D.C. to the Veterans this weekend: While inviting the Illegal aliens to use that same space, this weekend to extort U.S. citizenship from the people who those vets served, when they were sent into wars that were supposedly fought to defend our way-of-life. The Veterans fought to defend us from the same illegals that the Obama wants to give citizenship to - when they are here illegally and do not pay anything like what the rest of us must pay just to continue to exist in this country? Closing down the monuments to what created the country, to celebrate foreign interests at the behest of Israel and the global-bankers to undermine what remains of the history of the US in both war and peace ­ does that sound like something a president should be doing? “When we become Veterans, it is to be assumed we have finished our commitment to preserving America’s freedom. We then pass that torch on to the next generation. What, then, do you make of it when your own Commander-in Chief decides to fence you out of the very testimonials to your bravery, sacrifice and courage? All the memorials on the mall in D.C., for the most part, are the product of private donations. The Federal government merely supervised the construction of these edifices-no more. They are self sustaining and need little more than passive supervision. They are certainly not an amusement park or attractive nuisance requiring constant maintenance and attention. Being works of art in their own right, rarely do they suffer from vandalism or graffiti. How, then, should we view the rationale for this disenfranchisement? Or, viewed in another light, what does this say about Veterans and how should we respond as a group? Of more concern, how is it that an altruistic group can usurp the mall for a gathering (especially authorized on short notice by the same Commander-in-Chief), composed of illegal aliens advocating for changes in the Immigration law? Yesterday, Representative Nancy “Paxil” Pelosi addressed these august, undocumented visitors to the United States and cheered them on to greater accomplishments. Sadly, she had no time to scoot over to any of the numerous Veterans memorials that dot the adjacent landscape and pay her respects to some of my Veteran friends. “Amid government shutdown, Obama signals cuts to Social Security, Medicare 09 Oct 2013 US President Barack Obama restated his support for cutting Social Security and Medicare in a press conference Tuesday, reassuring congressional Republicans of his willingness to agree to these cuts if the Republicans vote to increase the government's debt limit. As the October 17 deadline for raising the US government's borrowing limit approaches, both sides are zeroing in on their real goals: a "Grand Bargain" to make sweeping cuts to social programs, while lowering corporate taxes. Obama reiterated that the Democrat-controlled Senate has already passed a budget at funding levels demanded by Republicans, and that "we're willing to have conversations about anything." Of course these traitors are willing to do anything, but they do not have - nor will they get permission “to do anything” just to keep their criminal-government positions in-tact. That is not - nor was it ever the case; behind this Motherload of False-Flag Conspiracies against the people of this former nation. It is time for those of us who give a damn about survival or ourselves and what was once this nation: We must finally face the crimes of a hundred years ago. We must end those crimes by arresting the living generation of traitors from that time, before 2013 ends us. We are where we are because our forefathers refused to alter the major crimes that were committed in 1913. The time to take responsibility has arrived. We should begin with “The Ride for the Constitution” and end with the arrests of those that try to run from their continuing responsibility to turn this country around and end the enslavement of our nation to the global-bankers and to the insanity of Israel, in every area of this nation where they have been dominant!